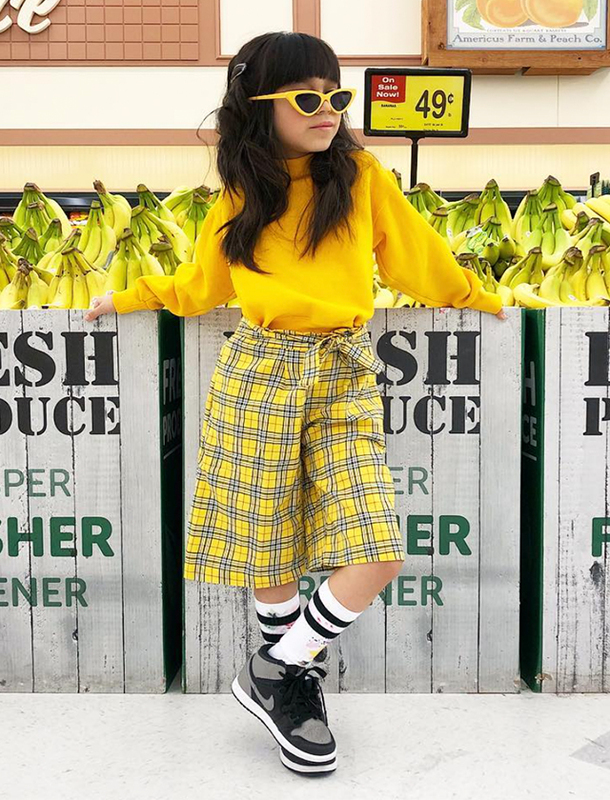 GIANA – AKA DEAR GIANA – AKA “LIL G” – IS A 9 YEAR OLD FILIPINA/MEXICAN-AMERICAN ARTIST, DESIGNER, AND FASHION INFLUENCER, MOST NOTABLE FOR RECREATING HIGH-END FASHION ADS AND ICONIC FASHION IMAGERY USING VARIOUS MEDIUMS. 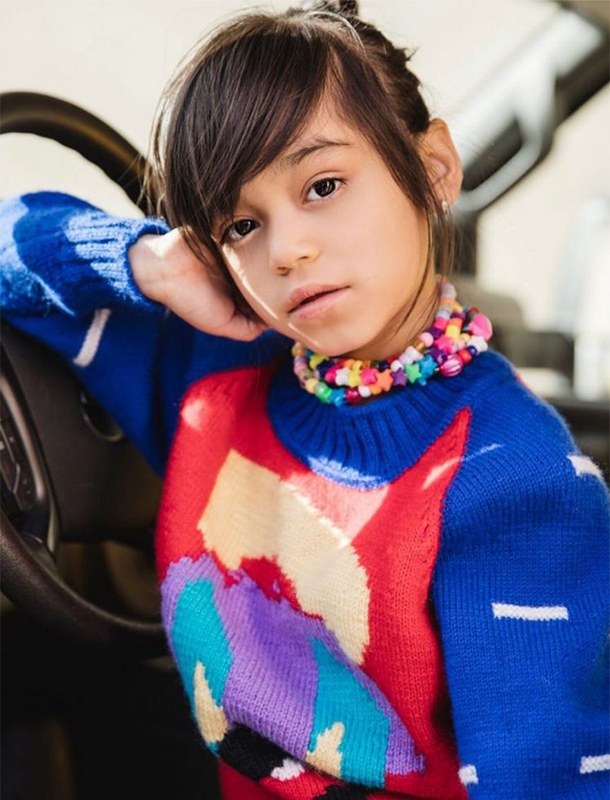 GIANA HAS SHOWN HER ART IN DALLAS, NEW YORK, LOS ANGELES, AND SEATTLE, AND BEEN DUBBED A CHILD PRODIGY, A FASHION ICON, AND A BONAFIDE WUNDERKIND. 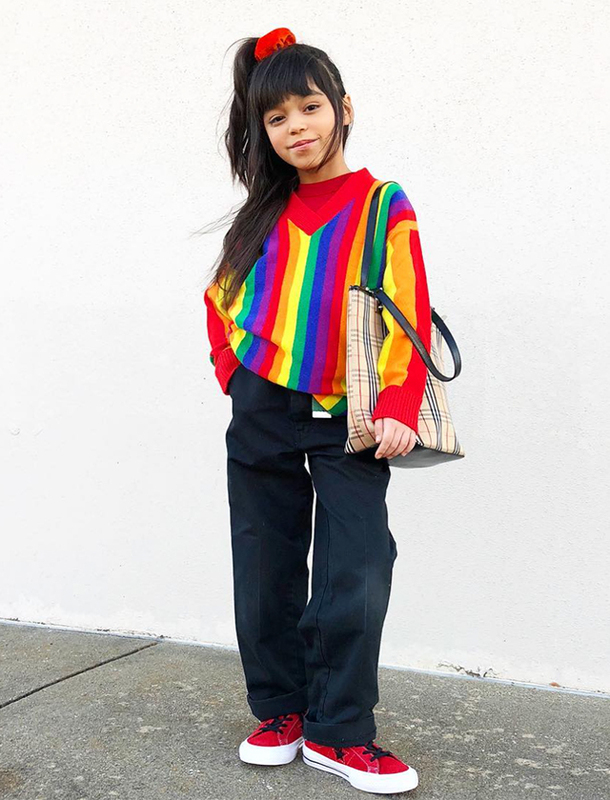 SHE IS 1 OF VOGUE’S GLOBAL 100 RIVETING CREATIVES, FLAUNT CALLS HER “STREETWEAR’S FAVORITE 9 YEAR OLD,” AND SHE RECENTLY APPEARED IN A FEATURE STORY ON THE HOME PAGE OF THE WALL STREET JOURNAL. 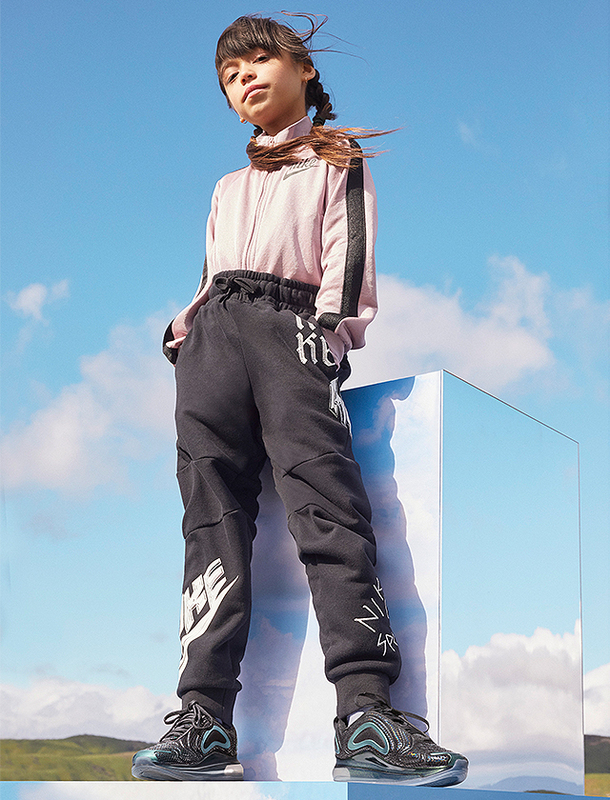 HER FIRST CAPSULE COLLECTION, DESIGNED EXCLUSIVELY FOR NIKE, DROPPED IN OCTOBER 2018 ON INTERNATIONAL DAY OF THE GIRL. 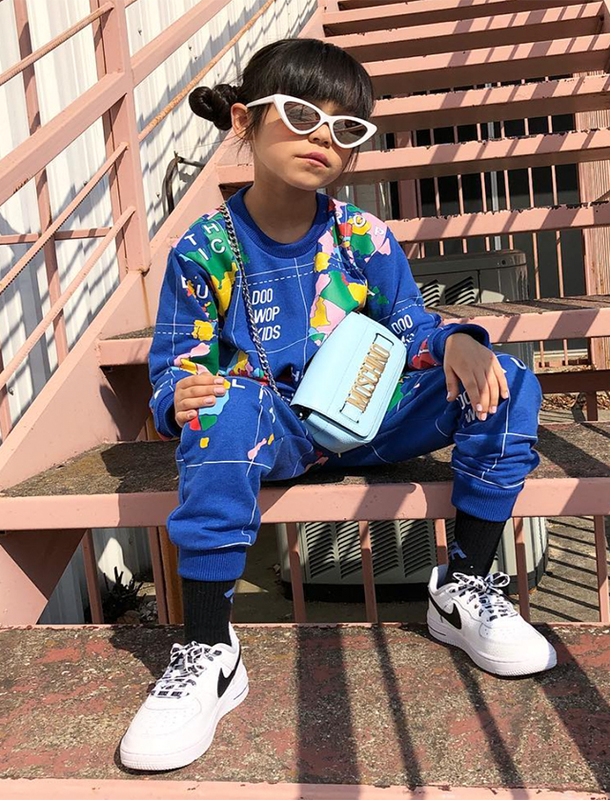 MOST RECENTLY, SHE STARRED IN NORDSTROM’S NIKE AIR MAX CAMPAIGN AND ANNOUNCED KIDSWEAR COLLECTIONS WITH CONVERSE, CRAYOLA, AND LEVIS TO DEBUT IN 2019 & 2020.